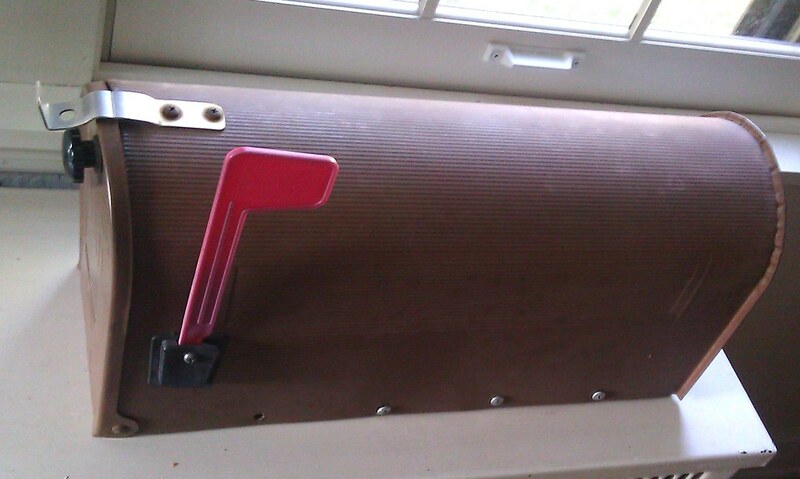 this old mailbox is one of the things i put in the basket above. so i don't know exactly what it cost, but it was less than $5. instead of a guest book at the wedding, i bought a ton of vintage post cards for our guests to fill out. this is where they will put them! i plan on painting it. i am still taking color suggestions. 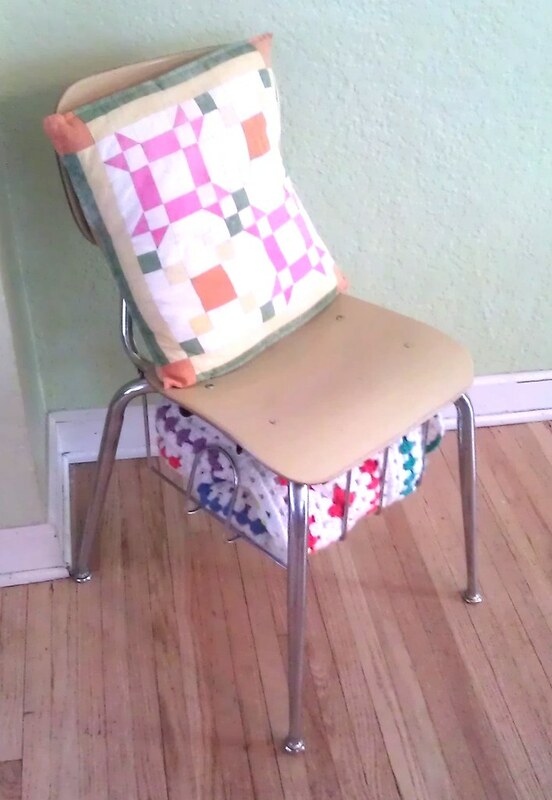 this old school chair was $4. it sits at my hot pink desk (also thrifted) where our laptop makes it's home. the pillow and blanket (i know) are also thrifted. i was so excited about this find. a woman was selling six of these luggage racks. i have a small collection of suitcases (i am starting to sound like a hoarder now), and i plan on using them for tables at the wedding. 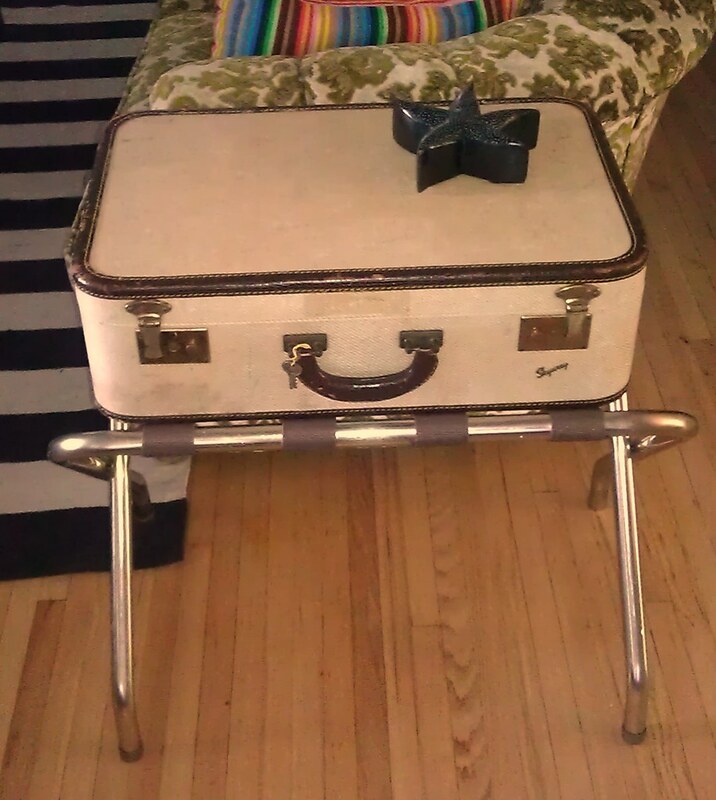 i scored four of these luggage racks for $3 each. this one will be used, as is, in our living room. i should note that at the same sale, the woman was selling two globes. and anyone who knows me, or reads this blog regularly, knows that i love globes. i guess you can't call me too much of a hoarder because i refrained from buying them. and they were cool. it was tough to pass them up! i have collected these cross stitch rings for a while now, knowing i wanted to do some sort of project with them. on friday night, i filled the many nail holes in this wall and repainted it all so that i could start over with new holes. 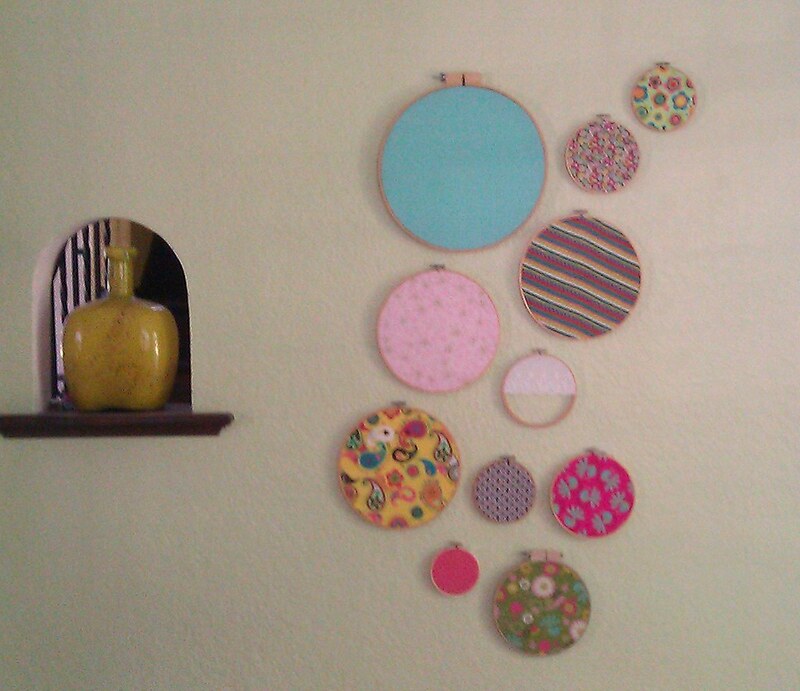 i bought the fabric remnants on sale at joanne fabrics and made these on sunday. the total cost was under $20. here's a closer look. the lace one i thrifted for $.25, the rest i made myself. i thrifted an old lace tablecloth and found this weatherproof fabric on clearance at joanne fabrics. chris and i are in the process of revamping the backyard, so i decided to make a little nook for the kids. while it only consisted of drilling a few holes and a lot of staple gun staples, i was pretty proud of myself for making this. it makes for a nice reading area. i finally used the gift card to bachmann's that the kids got me for mother's day. 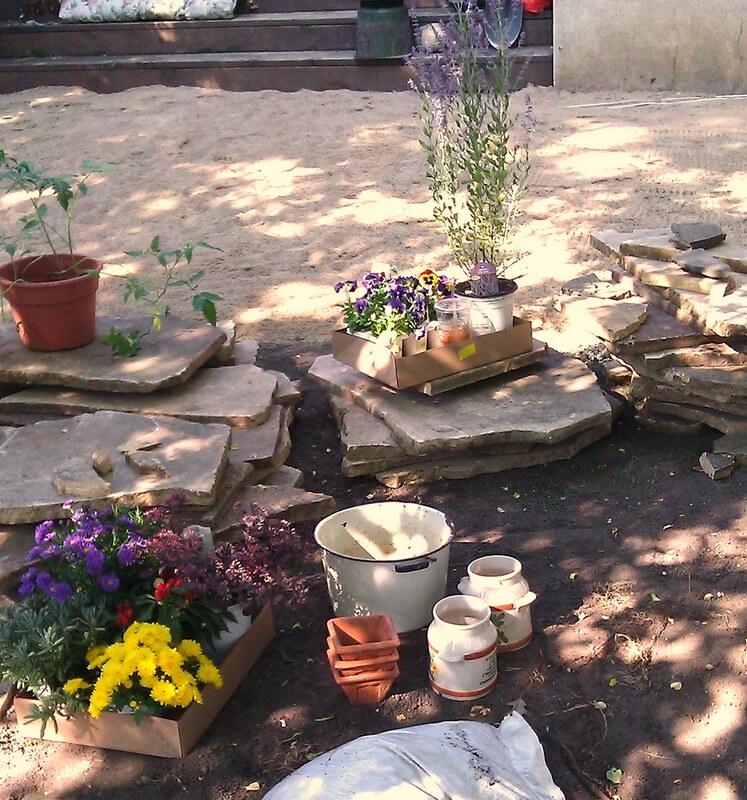 i bought a ton of flowers and some delicious smelling lavender and rosemary and potted and planted all day on saturday. all of my pots are thrifted. the stone and sand in the picture is now our new patio. i will take pictures for another post when the whole yard is done. 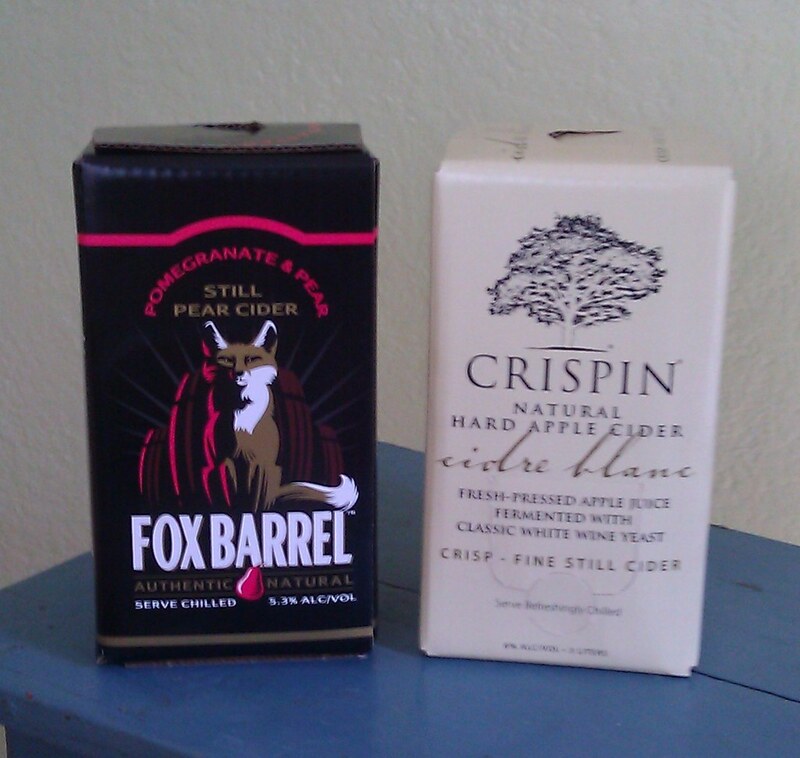 and last, but not least, we got new neighbors and found out that they both work for Miller/Coors, and one of them is a Crispin rep. i know this has nothing to do with crafting or thrifting, but he did give us six liters of boxed cider...i thought it was worth mentioning! too many things to comment on! :) LOVE that little tent you made. I want that wire basket. 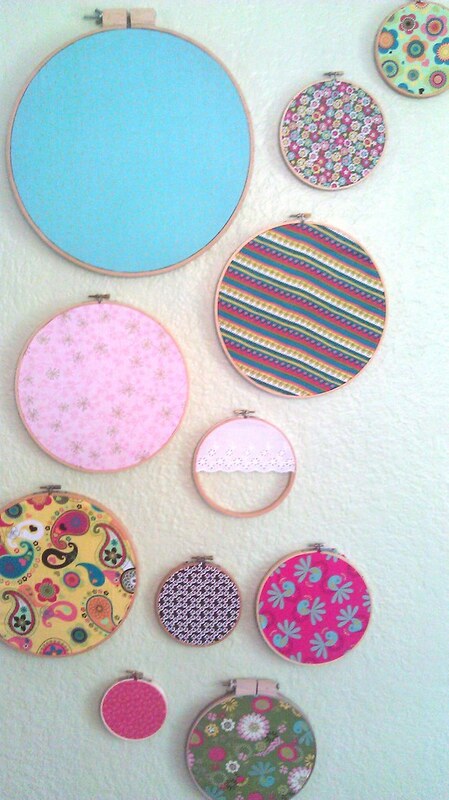 Those fabric circles are adorable!! and thank you for sending me that link to those earrings! They are SO much cheaper than the ones I posted and there are three!!!! The cross stitch rings are so pretty. Sounds like you had fun shopping. Thanks for leaving a lovely comment on my blog. aww that tipi is SO CUTE- and very pretty, might i add. i'm actually just starting my blanket collection, i'm sure i'd be jealous of yours. i feel like you can never have too many of those bad boys around. what are you going to use them in the wedding as? and i'd paint the mail box robin's egg blue- so pretty! Can you come over and make a teepee for my girls? I love it! And I'm loving the new wall decor! That little tent is divine! So sweet! 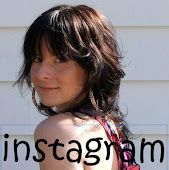 I am having a fabulous giveaway right here. okay i'm in awesome find overload! that tent is amazing! ahhh!! LOVE IT!!! i wanna build a tent fort! 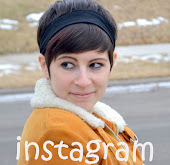 Win a Mint Green statement necklace! Jealous of your new neighbors, I love Crispin and Fox Barrel! You found some really fun stuff at the sales, I love the mailbox idea!! That little reading nook turned out so good! i love that little tent SO MUCH! i don't have any kids, but i'm already trying to figure out how i can convince my husband that i NEED one of those tents for out backyard or den, or something! I thrifted some amazing fabric and I was going to make a little tent for the girls. I'm glad someone else did it first so I can see how it works. :) And now I'm really excited to get going on it. . .
Whoa, that's a productive weekend! I love the idea of having a mailbox with vintage post cards in lieu of a regular guest book! You should have bought me those globes. We aren't friends anymore. All I'm going to say is congrats on your deals and make sure to bring me with you next time. Holy craftinganza Batman! You definitely were busy this weekend and I love your ideas. Speaking of ideas...why not put a fishnet stocking over the mailbox then spraypaint over it? After it dries remove the stocking and voila'! Instant coolness! Wow! I am impressed at your creativity! The embrodiery art is a genius, inspired idea!!! They look fantastic as does the kiddie's den! By the way, with all these cryptic wedding mentions, I cannot WAIT to see the photos of all the decor!!!!! Here's a little secret -- I enjoy garage saling. You can really get some good stuff! Mr. A and I did pretty well at the neighborhood garage sale here a few months ago. Soooo much pretty goodness here! I love the mailbox/card idea for the wedding, the cross stitch ring art but I actually squeaked (at work) when I saw the tent. I'm pinning it for my someday children. Great finds!! Oh man I love crispin! 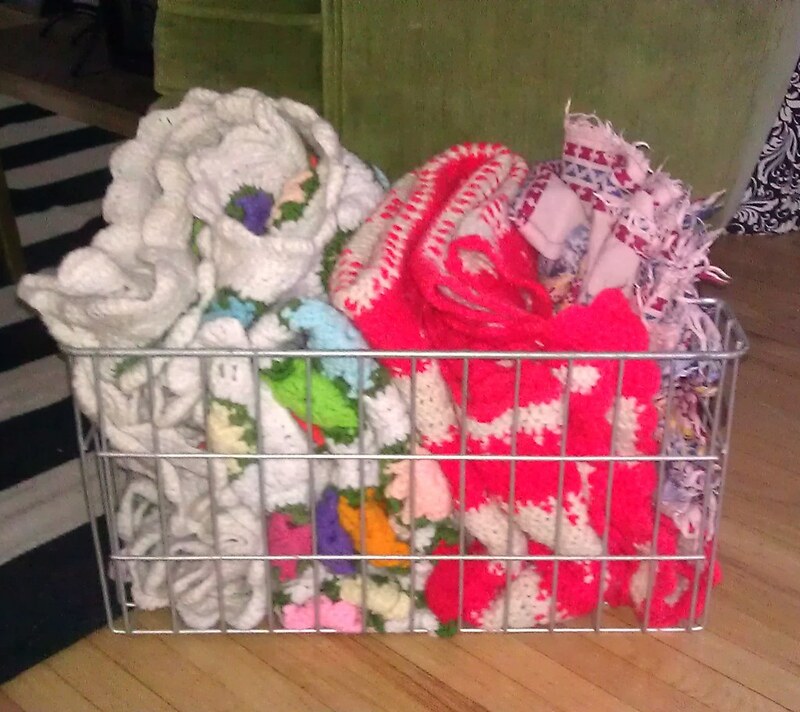 and all those projects look so cute! Cider in a box is possibly the best thing that I have heard of! oh my goodness, that tent, the creative way you displayed the cross stitch stuff, :), and bargain garage saleshopping! I'm jealous of your vintage blanket collection. My mom has a few that I totally want! I saw something similar to that cross stitch collage on pinterest and have always wanted to try it! Yours looks beautiful and I also love the little reading tent, how cute and fun! Oh my goodness! I just want to curl up next to your little girl and read with her in that little day tent! That is awesome! Can you come over and make me a big girl version?! Oooooooooo, love the tent! Great job!!! Pretty nifty girl! You made out like a bandit!! Enjoy your finds. 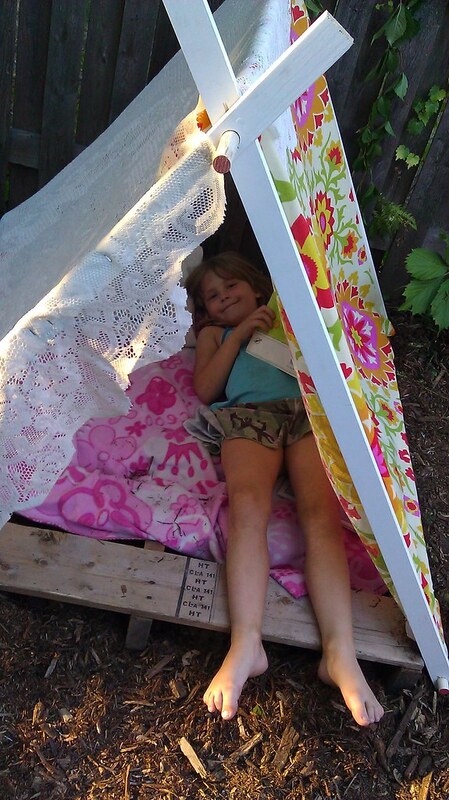 Love the little tent nook on a pallet - trying to figure out the frame so I can make one for my sweet little niece - can you provide the instructions? Thx! 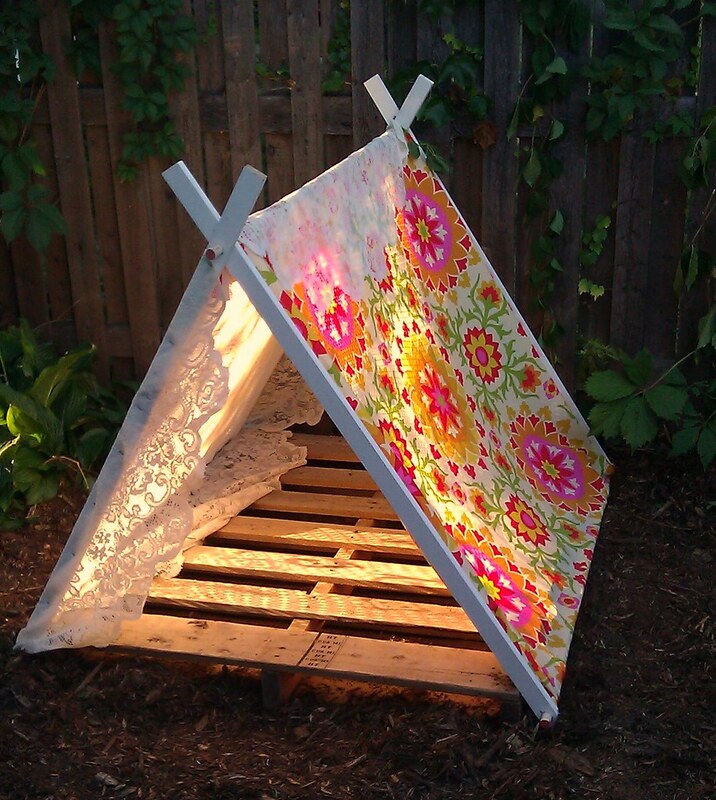 Love the little tent nook on a pallet..
Wow! I am impressed at your creativity! I just want to curl up next to your little girl and read with her in that little day tent! That is awesome! Hey, thank you so much for always sharing such wonderful articles. 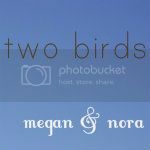 This blog is definitely entertaining additionally factual. I have picked up helluva helpful tips out of this amazing blog. I love to visit it again and again. Thanks! outfit of the day(bird): hello, pizza? inspiration monday: do you know how cool i am? outfit of the day(bird): hello!